New Distributor for Bridgestone & Vortex! Patrizicorse has taken over the Bridgestone tyre and Vortex engine contracts from the Paul Feeny Group. The company today announced it is now the exclusive distributor for both brands, which have significant supply contracts with Karting Australia. Patrizicorse will continue to supply and service its current range of brands alongside the Vortex and Bridgestone product. Patrizicorse as of January the 18th has taken over the distributorship for all Vortex-Engines and Bridgestone karting products from the Paul Feeney Group. As one of Australia’s leading karting distributor’s the addition of the Vortex-Engines and Bridgestone karting brands truly strengthens our position as a leader in the industry supporting and supplying the Australian Karting community. Effective immediately Patrizicorse will take control of the supply and distribution of the current Bridgestone and Vortex-Engine contracts held with Karting Australia. Namely the supply of tyres for the KA4, Cadet 9 and Cadet 12 classes as well as the Vortex Mini Rok and DVS engines. We would like to thank the Paul Feeney Group, Paul Feeney and the OTK kart group for their support in this process and we look forward to leading both Bridgestone and Vortex-Engines into the future of Karting in Australia. We would like to advise our current dealers and customers that we will still be supplying our current brands alongside Vortex-Engines and Bridgestone tyres. Our website www.patrizicorse.com continues to serve the Karting industry Australia wide with arguably the fastest and most accurate service of any of our competitors. A brand new dealer log-in will be provided to those clients who currently hold wholesale accounts with Patrizicorse or previously with PFG, making ordering your karting products even easier. In 2019 Patrizicorse was also awarded the tender to supply the new Ricciardo kart-controlled Cadet 4SS chassis for Karting Australia. 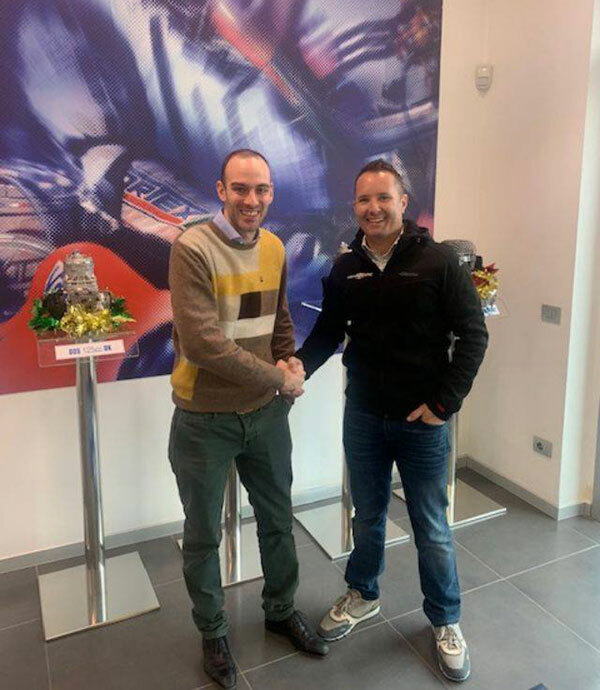 “After visiting the Vortex-Engines factory and meeting with the staff from the OTK group last December we are sure that their support, knowledge and expertise are a huge bonus for the growth of Karting in Australia.” Michael Patrizi, Managing director Patrizicorse. We are located on the Gold Coast in QLD. For all dealer and product enquiries please contact us via phone or emailthru the above-mentioned channels. We look forward to dealing with you all and we truly hope you enjoy the Patrizicorse experience. We are now your one stop shop for everything Karting.